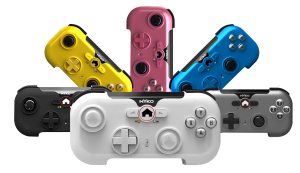 LOS ANGELES – June 4, 2012 – Nyko Technologies®, the leading gaming peripherals manufacturer, today announced a new line of controllers to enable console-quality gaming experiences on Android tablet devices. 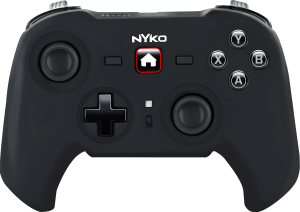 Nyko is creating controllers to support games optimized for NVIDIA® Tegra® mobile processors, notably the high-powered graphics capabilities of the Tegra 3 quad-core processor. Available Fall 2012, the tablet controllers will offer a future-proof gaming experience, blurring the line between mobile and console video gaming. PlayPad Pro – Nyko’s full-sized controller for an at-home gaming experience, including dual analog sticks, d-pad, face buttons and shoulder triggers/bumpers for wireless tablet gaming in the living room. Console-style control for ease of gameplay, perfect for first-person shooters and other complex games. The Nyko tablet controllers are being developed with input from NVIDIA to ensure compatibility with a large library of high-end mobile games optimized for all Tegra-powered devices. These games are available in TegraZone™, NVIDIA’s free app that showcases the best games optimized for the Tegra processor. NVIDIA’s Tegra 3 chipset delivers console quality graphics on mobile devices with the world’s only 4-PLUS-1™ quad-core mobile processor, including a 5th battery-saver core. Nyko has also developed a free Android app, called Playground, to provide backwards compatibility for their controllers with legacy tablet titles, including those that currently utilize keyboard mapping, touch mapping and mouse support. Playground provides profile management for customized control schemes, as well as pre-set profiles for top selling and popular games. Like Nyko’s tablet controllers, the app will not require rooting of the device. Fans and press are invited to get a first look at the Nyko Tablet Controllers at E3 in Los Angeles, June 5-7 2012, in the West Hall, booth #5000. Founded in 1996 in Los Angeles, California, Nyko currently has 30 employees, and distributes its products through major North American retailers and worldwide partnerships. For more information, please visit www.nyko.com or call +1 888.444.6956.